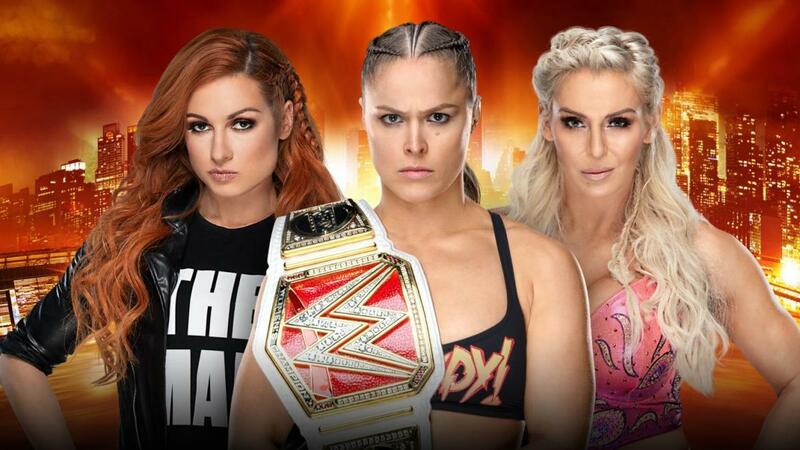 Ronda Rousey vs. Becky Lynch vs. Charlotte Flair is officially being promoted as the main event of WrestleMania 35. WWE issued a press release today announcing that Rousey, Lynch, and Charlotte's triple threat match for the Raw Women's Championship will be the first-ever women's main event of WrestleMania. The press release was also posted in an article on WWE.com. Rousey made her in-ring debut at last year's WrestleMania and has held the Raw Women's title since August. Lynch was the winner of this year's women's Royal Rumble match, though there was a storyline where her title shot was taken away before the triple threat became official for WrestleMania when Rousey caused Lynch to defeat Charlotte by disqualification in their match at Fastlane.